Kalsec, Inc. - Byce & Associates, Inc.
Design Program: The design process began by interviewing stake holders by Operating Unit starting with each unit manager. Customer requirements were collected and Lab Module dimensions were established. 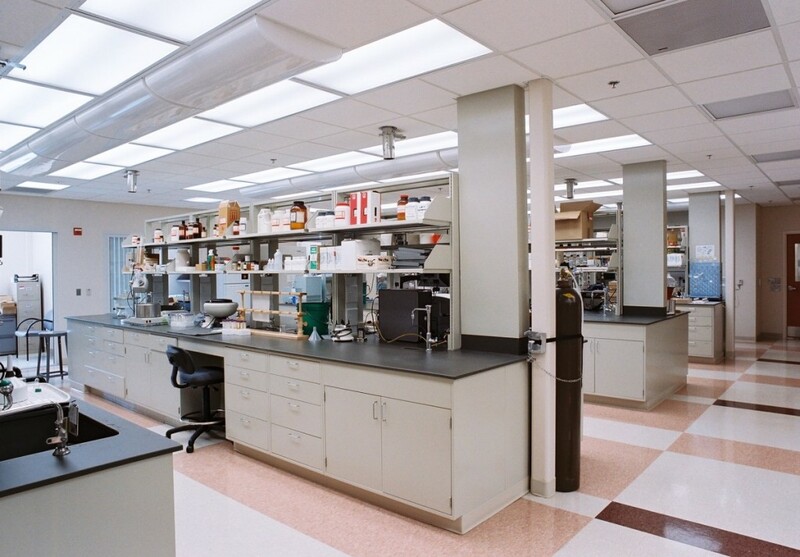 Lab configurations were drafted and detailed requirements were programmed into the space. Customer equipment dimensions and utility requirements were collected and evaluated to establish basic utility requirements for schematic design. The schematic design phase incorporated all customer and utility requirements into a preliminary engineering package. This was again reviewed with each customer unit to get input and receive approval to proceed to detailed design. The detailed design was reviewed by the owner at the 60% and 90% completion stages. A preliminary cost estimate was included with the 60% design and again revisited at the 90% completion stage. Upon approval, the Construction Documents were developed and completed and incorporated into a bid set which was then priced by the Construction Manager. The bid set was refined and released for construction. Design Challenges: The primary design challenge was being able to design a complex chemistry R&D facility which fit into the site. 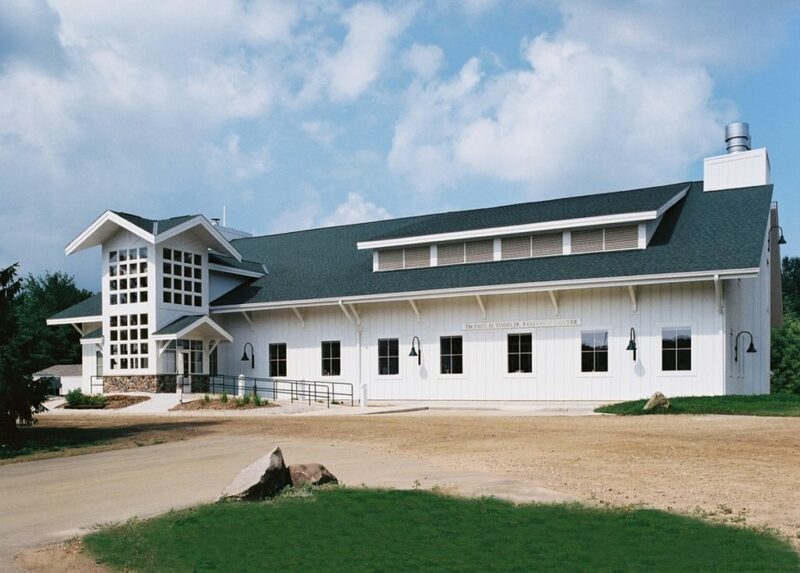 The client’s site was once the family farm and the desire to maintain the feel of the farm with horse barns and gravel roads was a challenge. This was accomplished by putting the heavy mechanical systems in a penthouse with sloped roof and incorporating the air intakes into the roof line. The exhaust stack and process piping risers were incorporated into chases on either side of the building and designed to look like fire place chimney structures. 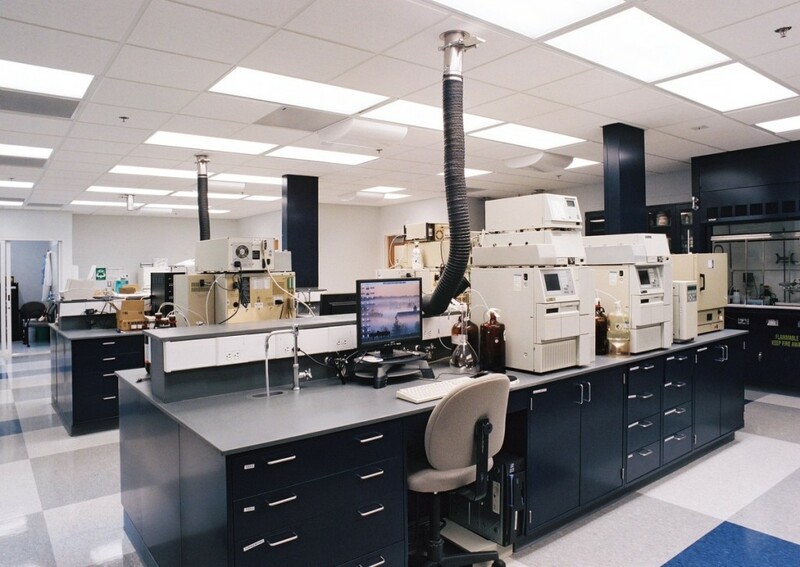 The HVAC system was designed to support (22) 6’-0 and 8’-0 chemical fume hood the amount of air was supplied to the labs along the exterior wall and the exhaust is collected along the center corridor and ducted to the collector plume in the peak of the roof. The exhaust is collected through an energy recovery unit and exhausted through the stack to the outside.